TOKYO —AirAsia’s feisty chief executive on Tuesday declared the low-cost airline was back in Japan after its bitter split with ANA, but this time in an alliance with e-commerce giant Rakuten. “This is AirAsia Japan part two, and I am very excited. I hope there is no part three,” chief executive Tony Fernandes told a press conference. 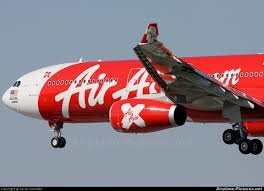 AirAsia entered the Japanese market in 2012 in a joint venture with major carrier All Nippon Airways (ANA). But the project ended in an acrimonious dispute over business practices last year. ANA subsequently inherited the business and rebranded it Vanilla Air. “Watch out, JAL, ANA, Peach and—Vanilla,” Fernandes said, naming some of the major airlines in Japan. The rebooted AirAsia Japan will see Malaysia-based AirAsia, Asia’s biggest budget carrier, partner with Rakuten, an infrastructure fund, a cosmetics company and a sports gear retailer. AirAsia will have 49% of the venture and Rakuten will hold an 18% stake. Details of its business plan, such as which airport it will use as its hub and flight schedules, are to be announced later, Fernandes said, adding the unit would begin flying in early 2015. Fernandes was in combative mood Tuesday, making clear he was happy to take on the whole of Japan’s aviation establishment, including its former partner. “AirAsia is a unique company. We have many flavors, many different colors, many different ways of doing things,” he said in an apparent jab at the new name of the old company. Fernandes, who strode on stage to Taylor Swift’s “We Are Never Ever Getting Back Together”, said: “ANA were fantastic partners…but we were just different, different views of doing things, so we split.” The press conference ended with servings of ice cream in several flavors—but not vanilla.